This new book addresses the topical issues surrounding employment relations in UK voluntary organizations that operate within the quasi-market of social care. Combining an analysis of the established literature with in-depth qualitative field work, Ian Cunningham explores the nature of power relations between state and voluntary sector; implications of employment policy and subsequent pressures for change in pay and working conditions; the influence of trade unions in the sector; management’s capacity to resist external pressure and employee responses to this environment. 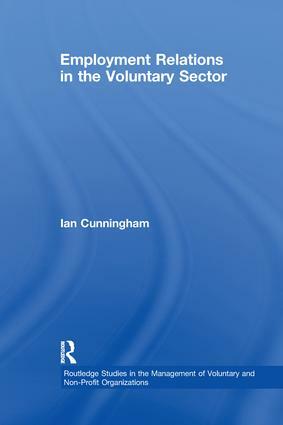 Cunningham’s focus on the employment relationship in this sector is unique, highlighting a complex and variable pattern of interdependence and subordination between government agencies and voluntary sector employers. The author examines the way in which financial pressures from the state coupled with weak unionization diminish working conditions, arguing that employee morale will not be sustained if the voluntary sector fails to maintain its autonomy and minimize its dependency on state funding.